On July 14, a neighbor found 33-year-old Edward Dubinsky shot in the head on his porch on the 2600 block of Virginia Lane in Warwick Township. WARWICK, Pa. (WPVI) -- A town in Bucks County is dealing with its first murder in 27 years and police believe the killing is linked to a tangled love triangle. A neighbor found 33-year-old Edward Dubinsky shot in the head on his porch on the 2600 block of Virginia Lane in Warwick Township on July 14. 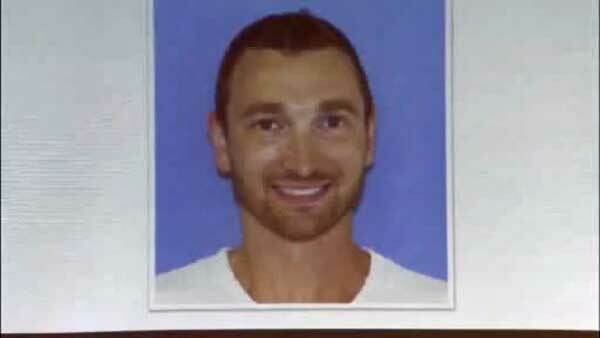 Police believe the gunman was 33-year-old Jeffrey Goul of Bensalem. They've charged him with criminal homicide and are also looking for his companion, 30-year-old Zannatul Naim, known as Asha, for questioning. Police in Warwick Township, Bucks County are investigating the first murder there in 27 years and they believe it is linked to a love triangle. Cops say Naim was not only dating Gould, but had an on-again-off-again relationship with Dubinsky. "We assumed it had to do with the girlfriend because they did have a lot of fights late at night. So we didn't know what was going on, but I assumed the girlfriend had something to do with it. But it's so sad, he was a nice guy," said neighbor, Kelli Sickles. Authorities say Gould and Naim took off in a borrowed champagne color Chevy Silverado truck with New Jersey tag YKD-24N. They showed up in North Carolina last Thursday where Gould admitted to someone he shot Dubinsky. "We have not yet found the gun that killed Ed Dubinsky. We have to assume that Naim and Gould still have it and therefore, we consider them armed and dangerous," said Warwick Police Chief Mark Goldberg. Gould and Naim were living together at the Long Meadow apartment complex in Bensalem, where police found bullet casings that match the one found at the scene. Court documents say the couple was recently fired from Fastcapital 360, a financial firm in Southampton. The company declined comment. "He always said 'I know I can't marry her, so I'm breaking up with her.' And then next thing you know her car would be back," said Sickles. "Wherever you are, go to your local state police barracks, sheriffs substation turn yourself in," said Bucks County DA David Heckler. Warwick police are asking anyone with information about this case or the couple involved to give them a call at 215-343-6102.